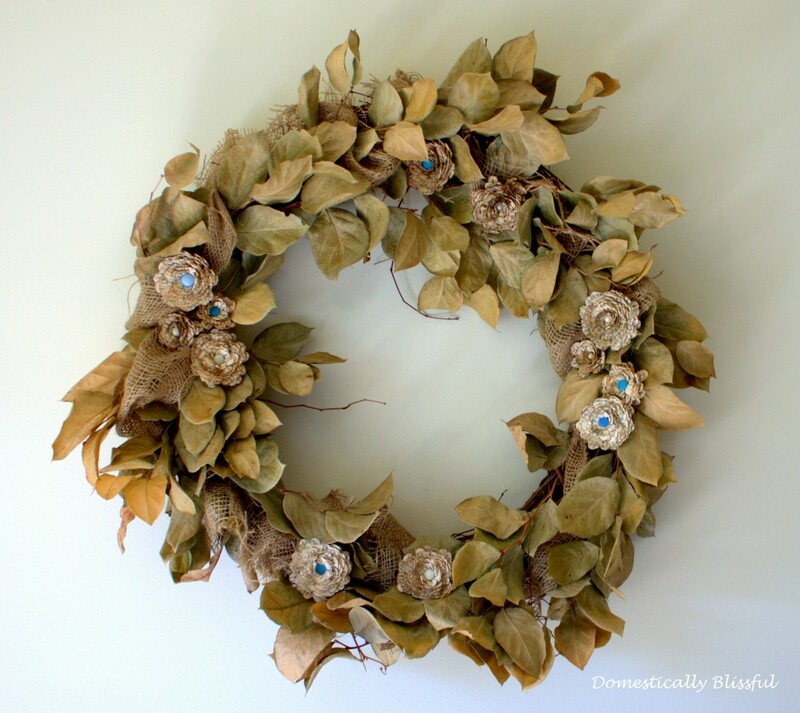 Wreaths are so beautiful and so easy to decorate with. We have 5 wreaths displayed in our home right now… and at Christmas time we will have even more! Most of these were originally made for our wedding, but we had planned all along to make sure they could double as décor for our first home! 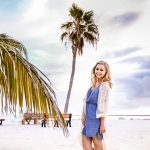 I thought I would share the five wreaths we have in our home right now and later I will show you how easy it is to make them for yourself! This is a wreath made out of hymnals. Originally it was made with 1 hymnal and hung for our wedding, but once the I do’s were over I took it apart and redid it using 4 hymnals to give it a fuller look. 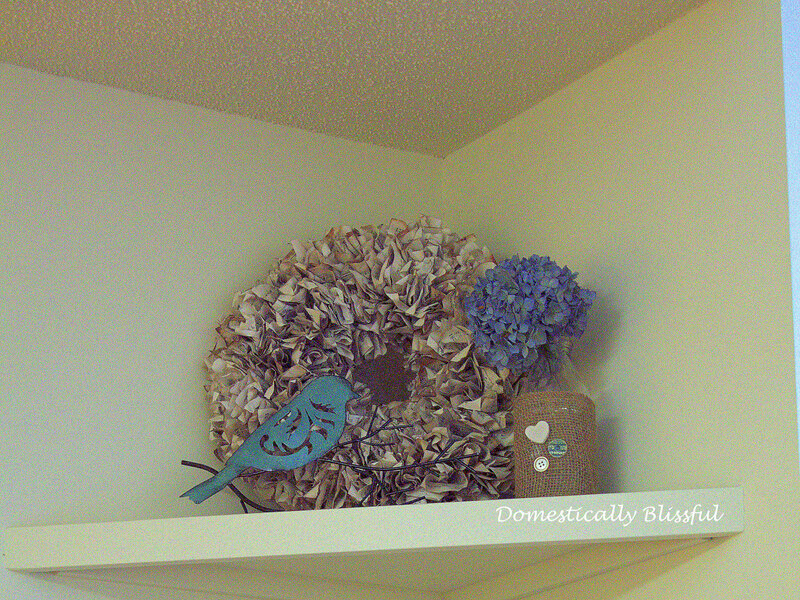 This is a smaller hymnal wreath that I made after the wedding being displayed on an upper shelf in our apartment. – Sorry this is the best shot I could get of this wreath – it’s 6 feet above my head! 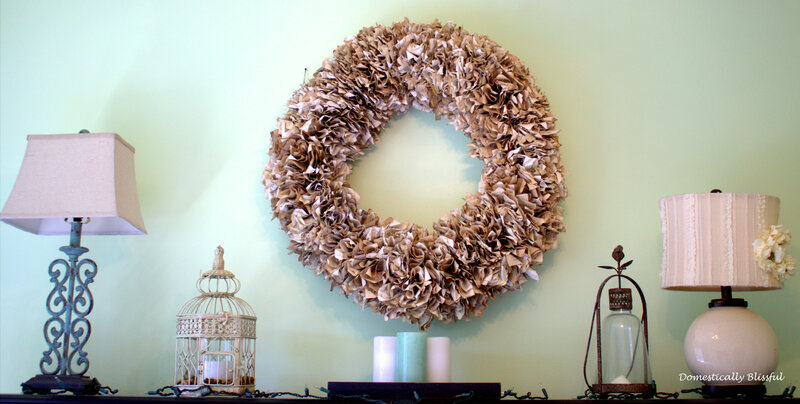 This is a huge wreath that was originally made for our wedding that is now hanging in our guest bedroom. The leaves were used at my bridal shower and had been dried so that we could use them again for our wedding. 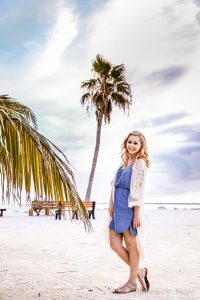 I love reusing and finding new ways to use things that could so easily be thrown away! Another wreath made for our wedding. Like the pinwheels? 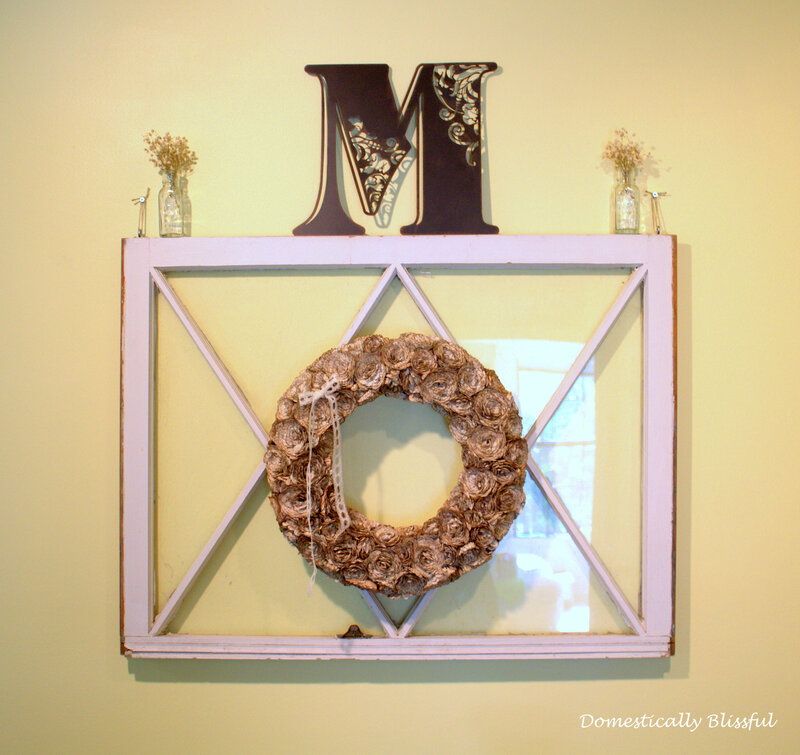 Check out this simple diy pinwheel project! This is the wreath that took us months (literally) to make for the wedding. We would sit and cut/glue the book pages for hours in the evening while watching movies. 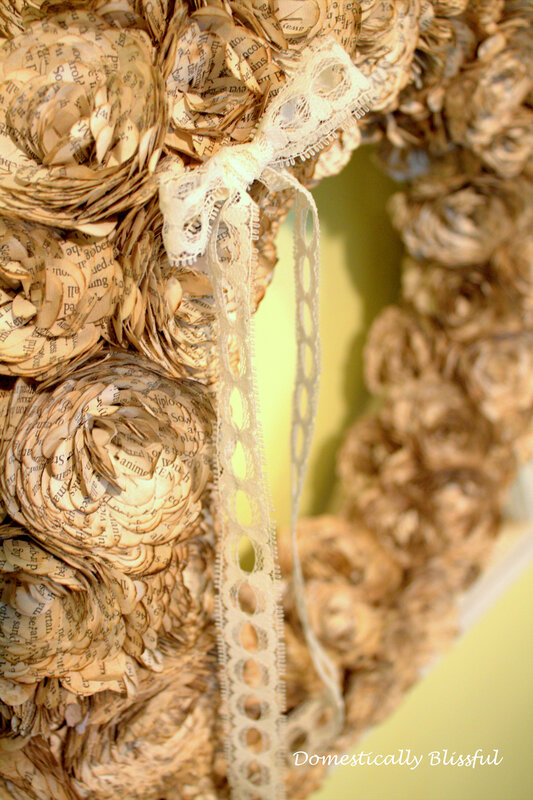 Here is a closer look at the wreath made with paper flowers dipped in coffee to give it an antique look. 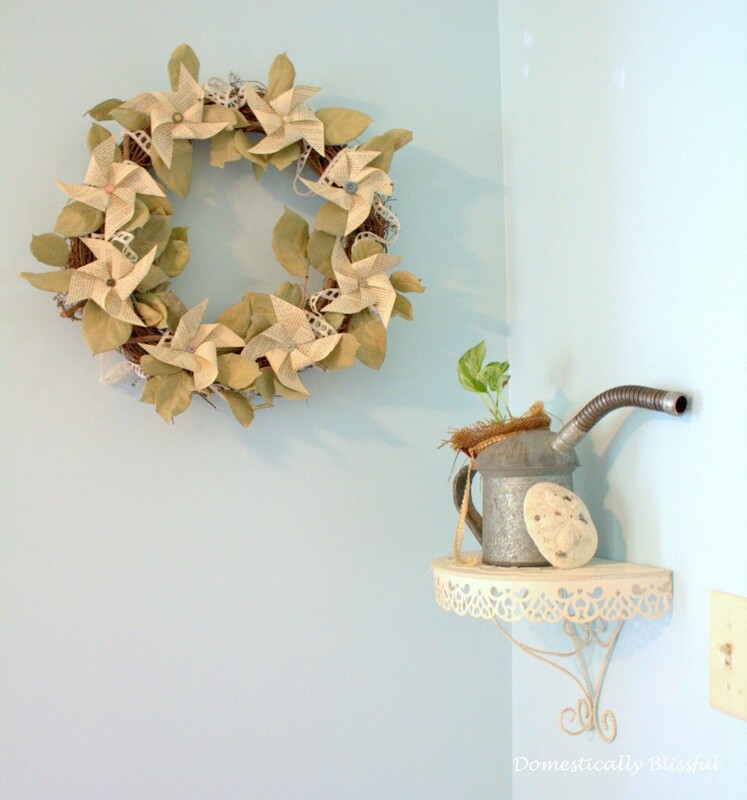 It doesn’t take too much work to make a beautiful wreath and it is even easier to find a place in your home for your own creative wreath! I don’t! But I will make one just for you! That wreath was made for my wedding so my mom has the tools that we used for it and I am not sure when we are heading back up there. But I know I could definitely have a tutorial up for you by early to mid November!